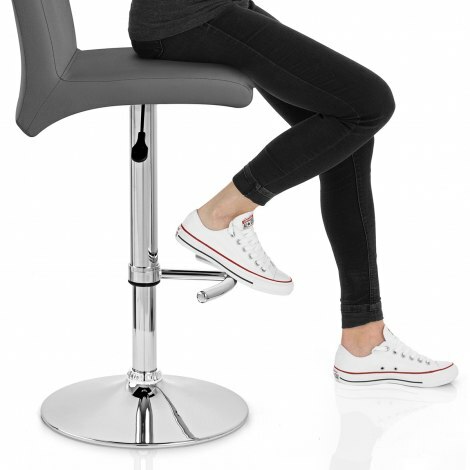 If you want to stay comfortable while making a statement, the Deluxe High Back Stool Grey is for you. Sumptuous and supportive in design, the Deluxe High Back has a refined contemporary look that exudes quality and class in the kitchen, or wherever you choose to place it. A one piece faux leather seat sports an integrated backrest, with both components coming together to firmly support your body. Soft and wholly supportive, it strikes a real impression in grey. Meanwhile, the chrome metalwork sports a range of features including a gas lift variable height and 360 swivel. A T-bar footrest protrudes from this, in an artful effort to support your feet. Finally, a rounded rubber ring accompanies the base, helping to prevent marking to your floors. 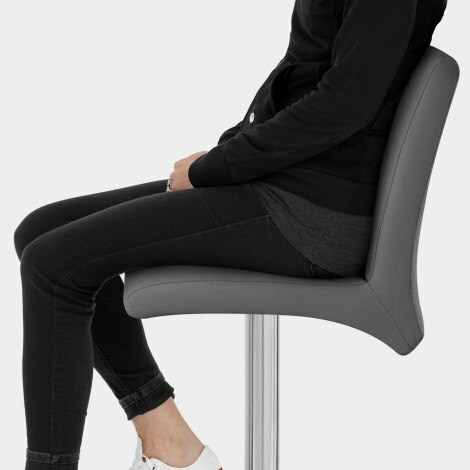 "They look amazing and very stylish"
Picked and reordered this chair. Arrived promptly once received, date given was accurate no hiccups. Took not longer than 10 minutes to put together. They look amazing at my new breakfast bar. Very comfy. The colour is slightly darker than the image on line, but half expected thay due to the photography. Good buy would recommend. These were on sale reduced to £59.99 each - fantastic delivery - ordered on a Friday and delivered to Northern Ireland on the following Monday. Easy to assemble and they look great. Excellent service. Thank you !!! Arrived speedily, easy to assemble. Comfortable and looks good. Great quality. Great price. Bought 4 they look fab in my new kitchen.